With their loose interpretation of the term “Outlaw” and questionable curation skills, Blackbird Presents, who’s also behind many of the recent tribute concerts to country legends, has once again commissioned the Outlaw Music Festival for 2017. The inaugural festival last year held in at the Pavilion on Montage Mountain on Sunday, September 18th saw Willie Nelson, Neil Young, Lukas Nelson & Promise of the Real, Sheryl Crow, Brothers Osborne, and the Chris Robinson Brotherhood attend, deftly timed to make use of much of the talent that was in the region for Willie’s Farm Aid the day before, just like their Waylon tribute did with Willie’s 2015 4th of July Picnic. 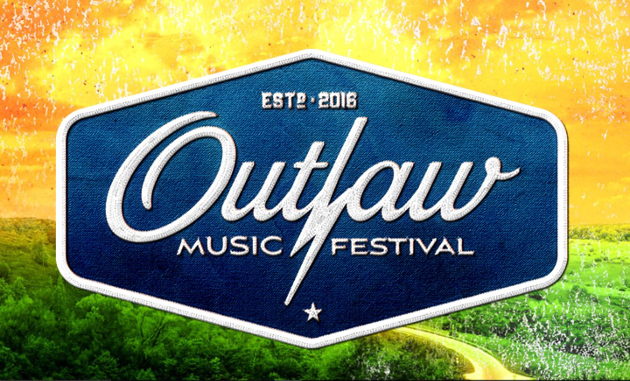 The 2017 Outlaw Music Festival will actually be a series of events, or a tour if you will, consisting of six total stops throughout July hitting up New Orleans, Dallas, Detroit, Milwaukee, Syracuse, NY, and Rogers, AR. The round robbin cast of performers that will be different for each stop includes Willie Nelson and his Family Band, Bob Dylan, Sheryl Crow, The Avett Brothers, Lukas Nelson & Promise of the Real, Sheryl Crow, Margo Price, Hayes Carll, My Morning Jacket, Jason Isbell and the 400 Unit, Sheryl Crow, Nathaniel Rateliff & the Night Sweats, Sheryl Crow, and Sheryl Crow. Along with the music, each date will feature numerous festival attractions, including local food, craft beer, and handmade crafts by local artisans (hippies). Tickets will go on sale April 21st. We attended the inaugural one in Scranton (you mention Brothers Osborne, but forgot Lee Ann Womack?!). We had so much fun. More fun than Farm Aid the day prior. I wonder what this means for Willie’s 4th of July Picnic? It’s open. Same bill as the Dallas show + others? I’ll probably go to the Syracuse show. Detroit’s lineup is sweet, but who wants to sit in a dumpy arena in the middle of summer? And you need fresh air at a Willie show or you’ll burn out your eyes from all the second hand pot! I expect we’ll get a 4th of July Picnic in Austin, and it will include some of these “Outlaw” artists. To me, this is all setting the table for that. If you look on Johnny Bush’s website, his tour page shows he will be at Willie’s Picnic in Austin on July 4th. No link or anything, though. I thought Jason Isbell said he wasn’t going to play festivals this year. He didn’t like the abbreviated sets. Maybe he is getting a longer timeslot or the money is too good. I can only speak for the Milwaukee date, but music starts at 2 and ends at 11, so it looks like Isbell would get at least 90 minutes, which is pretty much full set length. He’s only doing two of the dates mid regular tour so yeah, it’s a “festival”, but he can fit in a full set (in markets he was probably going to anyway) and I think that was his main complaint. Willie will headline no matter what. That doesn’t mean Isbell won’t get 90 minutes somewhere in there, but I’d guarantee he won’t play last. And this is only one date for Isbell with Willie and other artists he respects, so perhaps he made an exception. Ron, I heard its full sets from each artist for this one. I’m going to the Summerfest show and it starts at 2pm and goes until midnight, if that tells ya something. I think they stole that logo design from a tub of gluten free organic butter…or something. FYI…Rogers, AR is about 3 1/2 hours from Little Rock. It’s in the northwest corner of the state close to Bentonville and Fayetteville and about 90 minutes from Tulsa in case anyone is thinking of trying to make that show.